I could not be happier that on the eve of Sundance, the hottest subject of this year’s festival is WOMEN. From January 17th to 27th, the eyes of the filmmaking industry will be fixed on Park City, Utah and the over one hundred films that will be shown over the next ten days. Although I did not have any input into the selection of the films in competition, I am thrilled that the first Sundance Festival that I am attending as a Board Member of the Sundance Institute also happens to be the first time in the festival’s history that the US Dramatic Competition category features an equal number of films directed by men and women. (Click here for the full list of female directed films) This is not only groundbreaking for any film festival, but more importantly, it is creating the much needed dialogue regarding the lack of female directors working in Hollywood today. Entertainment Weekly just wrote an article on “Female directors poised to make their mark at indie Festival” addressing this issue head on, while countless other bloggers and entertainment publications have hailed the Sundance line up as a sign of true progress. Progress, that could not come soon enough, as reminders of Hollywood’s rampant inequality are everywhere. Most recently, the line up of films for the prestigious Palme d’Or at the 2012 Cannes Film Festival generated a mountain of controversy with its notable absence of any female directed films. The New York Times reported that a mere 9% of the top 250 films at the domestic box office in 2012 were directed by women, a number that is up from 5% in 2011, but still below the high of 11% achieved in 2000. It has been well documented that women who achieve success in independent filmmaking rarely go on to achieve the mainstream success of their male counterparts. Directors such as Quentin Tarantino, Steven Soderbergh, Darren Aronofsky, Paul Thomas Anderson, Kevin Smith, and Robert Rodriguez all received their big break at Sundance, and went on to enjoy lucrative, successful, and critically acclaimed careers in mainstream Hollywood. In contrast, numerous female directors have premiered films at Sundance over the years, but almost all of them have failed to cross over into positions of true power within the filmmaking industry. In the entire 85 year history of the Academy Awards, a measly four women have scored nominations for Best Director. At this point, that is simply unacceptable. Last year I hosted a Women at Sundance party where the Sundance Institute and Women and Film announced that they were joining forces to support independent women filmmakers working in both narrative and documentary feature film. A year later, the slate of women directed films at Sundance shows that true progress is being made, but the 9% stat from 2012 is a sober reminder that there is still much work to be done. That is why the equality of the US Dramatic category is so important. The number of women directed films at a major film festival has finally reached a critical mass, and in leading by example, Sundance could create the change needed for female directed films to reach critical mass in all festivals, and by extension force Hollywood to wake up and realize that female voices need to be heard on par with the men. 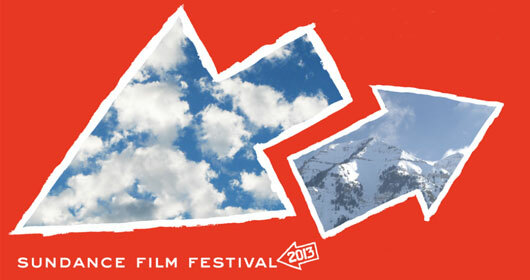 In the meantime, I am proud to be a member of the Sundance Board for this historic festival. I will be hosting the 3rd Annual Women in Sundance event, during which more exciting news regarding women in film will be announced. We are way over capacity with over 150 of industry professionals and special guest in attendance. I am also excited to be attending the 10X10 Girl Rising celebration and preview. Additionally, I will be on hand for the premieres of what are sure to be amazing films, in particular the documentary Anita, which chronicles the story of real life hero Anita Hill, who brought national attention to the issue of workplace sexual harassment in 1991. This is the first time in over 20 years that Hill has broken her silence to tell her side of the story, and the premiere is sure to be an emotionally charged event. Sundance 2013 is truly exciting for women in film, and I couldn’t be happier to be a part of it. Stay tuned for updates as I tweet and blog my way through this historic event. Follow the new hashtag #sundancewomen .